Marià Fortuny was the most important Spanish artist of his time, after Goya, and enjoyed international recognition during his lifetime. Fortuny made himself particularly famous for his paintings in the refined, mannered style known in Catalonia as 'dress coat painting', done with all the prodigious technical skill of a virtuoso, representing subjects set in the eighteenth century. 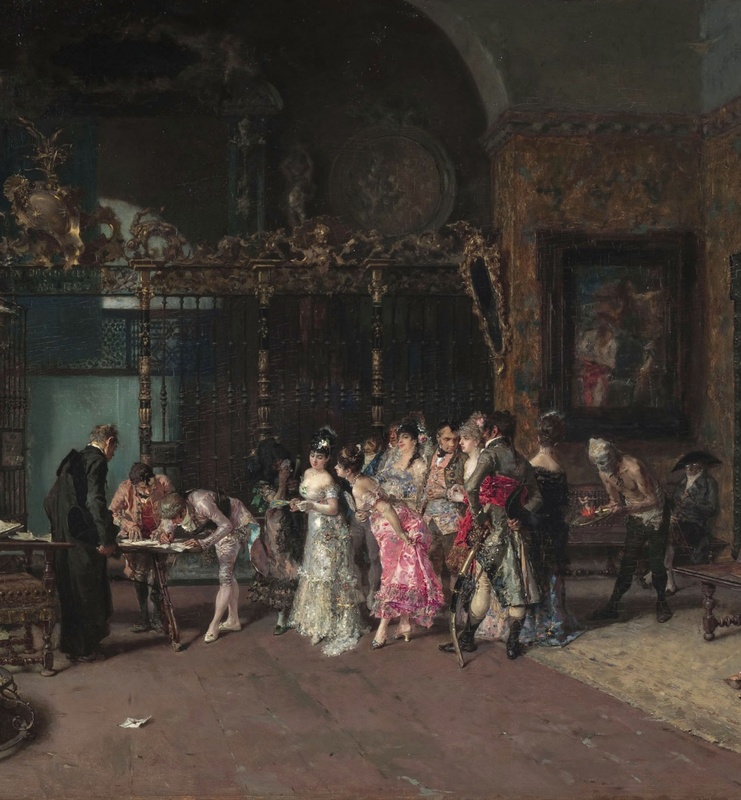 The scene depicted in 'The Spanish Wedding' is the signing of a marriage contract, in which elements are introduced that reveal his wide-ranging culture and his fascination and admiration for Goya. 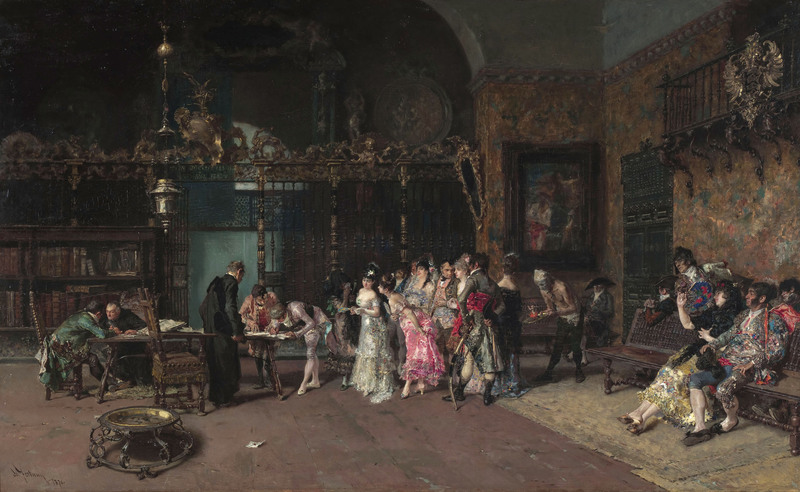 'The Spanish Wedding' met with great success in Paris, where Fortuny became one of the artists most coveted by the American collectors of the time.